Purpose: The CCCC Executive Committee presents, as occasion demands, the CCCC Exemplar Award to a person whose years of service as an exemplar for our organization represents the highest ideals of scholarship, teaching, and service to the entire profession. 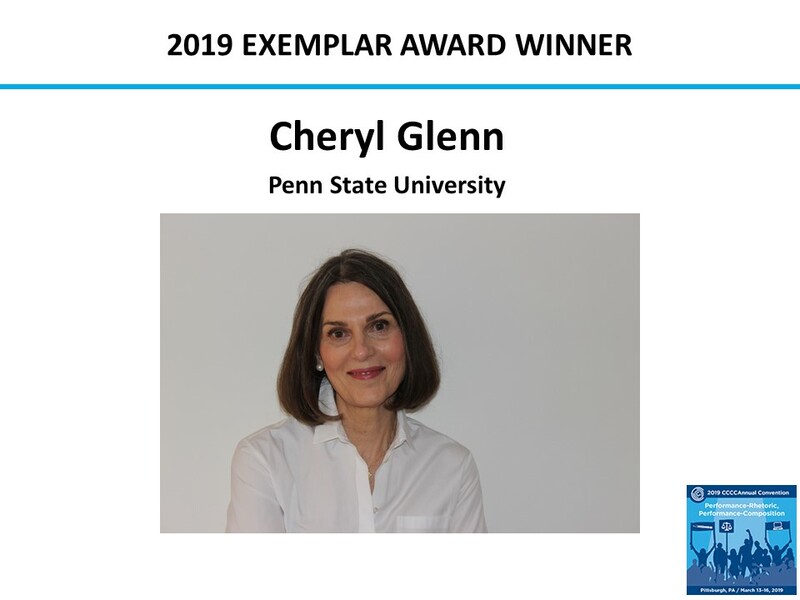 Eligibility: The Exemplar Award seeks to recognize individuals whose record is national and international in scope, or whose record is local and regional with national implications, and who set the best examples for the CCCC membership. Award Specifics: Nominations should include a letter of nomination; four letters of support; and a full curriculum vita. The nominating material should be send to the CCCC Exemplar Award Committee at cccc@ncte.org. Nominations must be received by November 1, 2019.